As one of the best software developers in the industry, Microgaming offer a huge catalogue of both downloadable and instant play pokies available for desktop and mobile devices. We take a look at 10 of the best from the top provider and where you can find them. Mega Moolah has to be first on our list as it is the title which has made the most players millionaires. The large network jackpot title features four progressive prize pools, with the largest of the four often in the eight figure region, and is available to be won by playing a bet of $6.25 per spin. The Bonus Round is triggered at random and here a Wheel will appear with the option to win one of the four jackpots, or another cash prize. 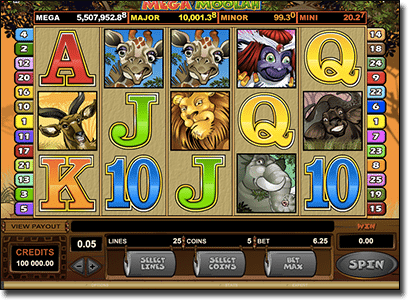 There’s also Wilds, up to 15 free spins with a 3x multiplier, and incredible graphics and audio on the African Safari themed pokie. This title shouldn’t be confused with the other popular progressive The Dark Knight – but we are still treated to the real actors’ images including Christian Bale, who plays Batman/Bruce Wayne. This title is based on the third and final instalment of the film franchise where Batman faces off against Bane (played by Tom Hardy). 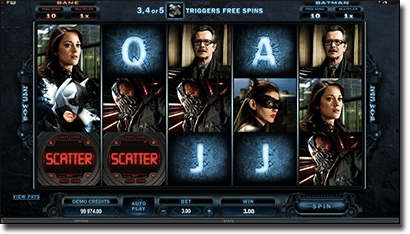 Featuring 243 ways to win, players are treated to Expanding Wilds, Symbol Scrambles, Bane Free Spins with Rolling Reels and Super Stacked Wilds, Batman Free Spins with Extra Wild Blast and Heat Seeking Wilds, and more. The Dark Knight Rises is an action packed, feature-filled title offering fans of the film a real fix. 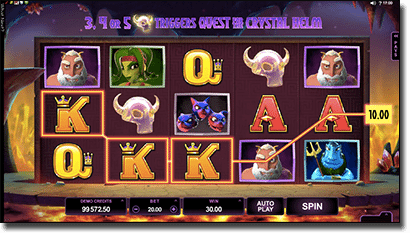 Fans of feature-packed pokies will love Thunderstruck II as it offers The Great Hall of Spins with four different free spins bonuses, each offering a variety of special features – unlock all four to receive up to 70 free spins and multipliers available of up to 6x. You can activate each bonus by spinning at least three Thor symbols. Also available to trigger, at random however, is the Windstorm feature which offers a free spin with up to five reels turning Wild. 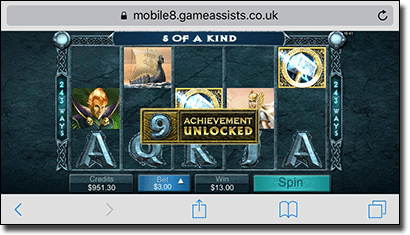 The title also offers 243 ways to win plus a Norse mythology theme executed amazingly by Microgaming’s well crafted graphics. If you are a fan of vampire fiction like Twilight or television shows based on the mythological creature like True Blood, you will love this romantic, vampire themed title offering a 243 ways to win format. Additionally, it is incredibly similar to Thunderstruck II in terms of its gameplay features. 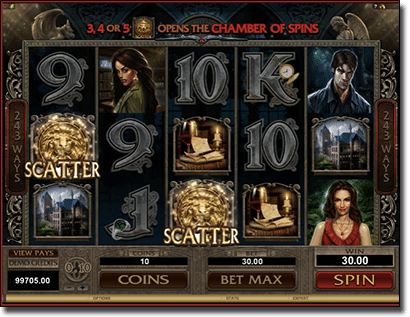 Through the use of HD graphics, the dark underworld is brought to life as you play to unlock Free Spins (four Free Spins bonuses are available to unlock with up to 70 free games won if you unlock all of them), Wilds, Multipliers and the unique Wild Desire Bonus where you can win one free spin with up to 5 reels transformed into Wilds. Game of Thrones offers two titles under the same name – one offering a 243 ways to win format, while the other offers 15 paylines. 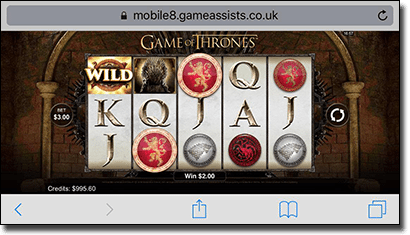 Both are based on the HBO television show, which in turn is based on the incredible books by George RR Martin, and both feature the four Houses, including Baratheon, Lannister, Stark and Targaryen offering a Free Spins feature each. 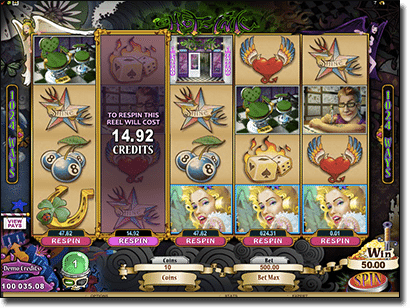 Each House offers certain number of Free Spins, a unique multiplier, and a certain number of Stacked symbols – similar to Thunderstruck II and Immortal Romance. Hot as Hades features the cheeky Hades (often seen causing havoc in Zeus themed pokies), on a 5 reel and 20 paylines title. There’s two bonus features including the Quest for the Crystal Bonus Game and the Super Mode Free Spins. 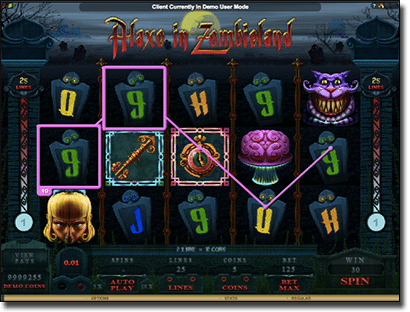 The first bonus sees a multi-level feature activated by at least three Scatters and here you climb up five levels where you can win huge cash prizes, but cease the bonus by revealing an ‘end game’ symbol. There’s also five free spins available in the Super Mode Free Spins feature, triggered randomly in the base game, which can offer Held Wilds and a 2x multiplier. Microgaming offer a huge range of ‘Star’ pokies, including Cricket Star, Rugby Star, and Football Star – but we have included Basketball Star to represent them all as they are all great titles. 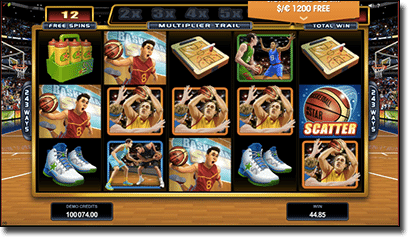 Basketball Star offers 5 reels and 243 ways to win, plus Stacked Wilds, Rolling Reels, Free Spins (up to 25 with a multiplier of up to 10x available), and an innovative Wild Shot feature (each Star title offers their own Wild feature). The Wild Shot feature sees up to two reels turning completely Wild at random. If you love your basketball and NBA, this pokie is for you. This may be a Christmas themed title, but it doesn’t mean you can’t play it any time of the year, especially if you enjoy high variance titles which is what this one is known for. 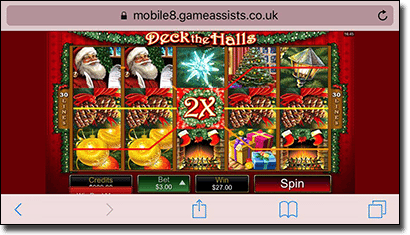 Deck the Halls is a 5 reel and 30 payline title, featuring two Wild symbols (both substitute for all symbols except the Scatter), a Father Christmas Stacking Feature, and a huge 100 Free Spins with a 2x multiplier – as we mentioned above this is a high variance title. There’s also the chance to win up to 120,000 coins too. If you’re one for 243 ways to win pokies, then you will enjoy the 1024 ways to win format – found on the popular title, Hot Ink. The theme of sees the 5 reels and 4 rows set in a tattoo parlour, with unique symbols crafted to tie in well. The main feature is the unique Re-Spin feature where you pay a certain amount (the amount is dependant on the likelihood you will score a win and the size of the potential win) to re-spin a certain reel/s. There’s also a Click Me Bonus and 10 free spins with a 2x multiplier available to be won. While this title has technically been created by Genesis Gaming, but launched on the Microgaming platform, we had to include it due to its exciting features and the fact it is available at all our Microgaming-exclusive online casinos. The theme is a unique take on a classic fairy tale – Alice in Wonderland – and offers 25 paylines across 5 reels, plus three bonus features. First there’s the Tea Party Free Spins, where you click to reveal a random amount of free spins and a multiplier; then there is the Red Queen’s Adventure where you click the flowers on the tombstones and if they turn from white to red you will get a cash prize; and finally there is the Gravestones Feature where you pick gravestones to reveal a prize until you reveal the ‘Collect’ symbol. You can play these titles on your desktop, laptop, smartphone or tablet at the following Microgaming-only online casinos.